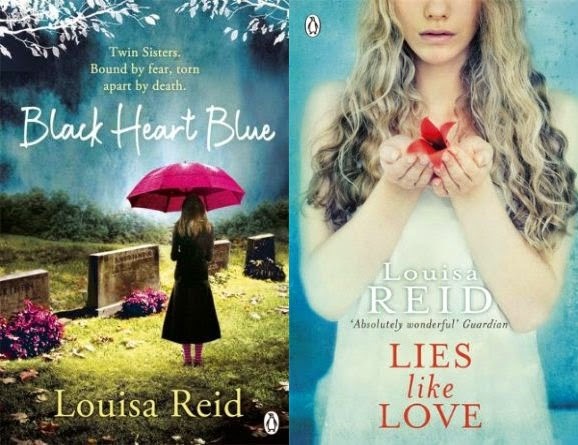 Today I have the great pleasure of having Louisa Reid, the UKYA author of Black Heart Blue and Lies Like Love on my blog. It's especially nice because Louisa is here talking about one of my favourite topics, mental health issues. Some of my favourite protagonists are those who are dealing with what we in the 21st century call mental health issues. I wonder what name Shakespeare had for Lady Macbeth's guilt, or Lear's dementia or Ophelia's desperation. Probably for the female characters it would have been hysteria (because of course, if you're a woman, your womb is bound to drive you mad) and for the male characters- dotage or madness. Shakespeare's nuanced and individualised representations of each of these characters' descent into insanity makes it obvious that he was aware that every individual experience of psychological problems is utterly different. I think Rebecca in Black Heart Blue was experiencing deep psychological trauma but I never really put a name to it. Her grief at Hephzi's death and her haunted terror at living locked up in the vicarage were a torture and torment- so like the narrator in another of my favourite stories, The Yellow Wallpaper, the walls in her room fill with bulging reminders of the secrets she is forced to guard. 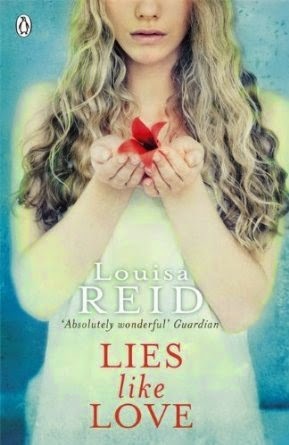 Likewise, in Lies Like Love my protagonist Audrey isn't well. Her mother, Lorraine, wants to know what exactly it is that is troubling her - in fact it's her life's work to find out - and Audrey wants to be "normal" too; so she visits the doctors and takes the pills she's given and tries her best to keep on going and to face down The Thing which drags her into the depths of despair. Audrey's biggest problem, though, is that she really can't talk about how she feels without destroying her family. She's another keeper of secrets, fighting to keep the truth of her life buried in her subconscious: it's just too awful to face. And of course this makes her ill, an illness which manifests itself in self-harm and, perhaps, an attempted suicide. The decision to write about such tricky subjects such as self-harm and mental illness wasn't one I took lightly. But I think we need books which help to make it OK to talk about how it feels to experience psychological pain and its consequences in everyday life. Audrey feels different, she's picked on and singled out, is bullied and taunted because she can't quite keep things together. I totally understand why Audrey won't talk to people who try to help her. She feels ashamed, I think, and her silence is self-defence. All her barriers are up because she doesn't think anyone will ever understand exactly what she's experiencing and that they will judge her harshly, blame her perhaps, or even worse, not believe her. I've never had the type of depression myself which has utterly disabled me, but I've had times when I've felt pretty awful and close to desperate, and I've never, ever told anyone about it. I remember after I had my first baby and the health visitor showed up with her list of boxes to tick for post-natal depression and how appalling that made me feel. But I slapped on a smile and told her I was fine. Eventually I was, thank God, but I could quite easily not have been. Even writing that down here makes me feel rather uncomfortable and I think that probably makes me a coward. I have huge admiration for people, especially young people, who are brave enough to be open about their mental health and I hope that in Lies Like Love readers see how vital it is to talk about how they're feeling, to be honest, to help yourself by speaking to someone you can trust. Audrey had her trust betrayed long ago and I think that's why she's so suspicious of doctors and therapists and why she remains so guarded. I reckon that readers might find themselves shouting at Audrey: "Just tell them what's going on!" - but she can't. Deep breath required now, I think! After all that, I guess I've made Lies Like Love sound like a very intense book. It probably is. But it's also a love story and a bit of a thriller and I hope it is also a book about how love isn't always lies and that there are some bonds which are impossible to break. Audrey has to face the truth and deal with it, to save herself and her brother too. Like Rebecca, she's a survivor and she doesn't give up without a fight.